How To Survive A Bad Break Up. I recently went through a break up, though it was my decision to end the relationship, it was the hardest thing I have ever had to go through. I was only married for 2 years and now I’m getting a divorce. I had a lot of support from my family & friends and it took a lot of strength and courage but I am happy with my decision and life has never been better for me, I really had the chance to find myself. I also have a friend that’s recently broke up with her partner, it was a pretty bad break up and she is in pieces and it’s heartbreaking to see. When I split from my husband I searched the internet for some self-help, It kept me busy and it helped me understand what was happening, so I thought I would share some of the information with anyone who is suffering or has suffered from a bad break up. Few people think that their marriage will end when they’re making their wedding vows, but the sad reality is that 4 in 5 marriages now end in divorce. Any break-up is difficult to get through and the longer you’ve been together, the tougher it is no matter how prepared you are. So if you need help, follow our expert guide on what to expect and tips on how to cope. If you ended your relationship: You will have gone through the scenario so many times in your head, made important decisions already about how you will lead your future life, already started to make plans, even. So dealing with the final split will probably be manageable. If your partner ended it: You will probably be in shock and your emotions will yo-yo from deep despair to anger, anxiety to guilt or relief, even. It will take time to heal. It’s perfectly normal to mourn the loss of your partner and go through a grieving process before you can come out at the other end and begin to feel yourself again. You may be feeling very raw at the moment if you’ve recently split from your partner, but remember there is life after divorce and thousands of people go on to have fulfilling new lives after splitting up. People recover at different times, some bounce back quicker than others, so take each day as it comes and take baby steps towards recovering. Very angry and resentful as the dreams and hopes you had for your future are gone. Embarrassed and ashamed that what you thought was a solid marriage is over. You may not want to share your feelings with others. In denial that the relationship has actually ended. You can’t imagine life without your partner and feel complete loss. Guilty. That somehow it was your fault, even if it wasn’t. Denise Knowles, Relate Counsellor says: ‘Don’t worry. All these very different reactions are perfectly normal. 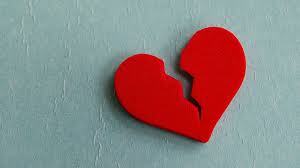 A relationship split is like a bereavement. You may feel huge loss, be in complete shock, feel numb and long for what you had. Hundreds of questions keep running through your head. You need good support at this stage. Do talk to someone close to you, a friend or family member. It will help keep things in perspective. Don’t beat yourself up. Just because your relationship is over, doesn’t mean that you were wrong to trust your partner or that it was your fault. Don’t push yourself too hard. Try not to worry if housework isn’t finished or the ironing is piling up. You really need this time for yourself. Your emotions will still be see-sawing. You may have started to sort out the practical elements of your split, such as childcare and work, but not dealt with how you really feel. Your confidence may be low and you could feel depressed. You may feel scared and that you could never trust again. You’ll feel drained. All the emotional upset really does take its toll on your energy levels. Denise from Relate says: ‘Keep some things familiar, so you know where you’re at. This isn’t the time to make rash, knee-jerk decisions – such as moving away – even if you feel like that would be the solution. Deal with the anger. If it’s still eating you up you need to quash it now. Anger often masks what we’re really feeling ? scared and sad. If you can let go of it you can start to move on. Keep talking. Try to open up to friends and family about how you feel. Avoid the blame game. If you keep questioning what went wrong? Why? How? What did I do wrong? you get locked into more bitterness and heartache. Look at what you think may have gone wrong. It will be painful, but try writing your thoughts down or talking them through with someone you can trust. It will really help you move on. Lacking in confidence. A break-up can really give your self esteem a knock. Worried about your future and overwhelmed by the decisions you have to make. You’ll probably feel more able now though to open up and talk more freely about your feelings. Denise from Relate says: ‘It’s so important to tell your children the right way. Your children, if you have them, are the most important issue you will have to deal with during the divorce. They have to live through this split too and it can be a very difficult time for them. Keep looking after yourself. You may be finding it difficult to sleep as thoughts and questions play over and over in your mind. You may not be eating properly either and so your emotional state can impact on your general health. Take a multivitamin daily and try to grab sleep if and when you can. See your GP for support. anti-depressants can help short-term if you’re feeling very low and are particularly good when used in conjunction with talking therapy/counselling. Start to prioritise. You’ll probably feel ready now to at least address practical problems. Where you will live, arrangements for the children and finances so see a solicitor for advice or visit Divorce Aid for free independent help, legal and emotional advice. There’s some space in your mind now to start sorting through your emotions. You may be starting to feel a bit stronger now, physically and mentally. You’re not so exhausted. You’re still grieving, but the pain is maybe not as acute as it was. Denise from Relate says: ‘Talking therapy would really help now. You’ll need someone you can talk to confidentially, so it may be wise to look outside family and friends and seek a counsellor’s advice. Make time to relax – whether going for a walk or taking a long bath, do whatever works to help you wind down. It’s really important to try to get rid of stress to help you cope with day to day problems. Take baby steps – when you feel low it can seem like you’re getting nowhere and that any task you have to do is impossible to achieve. Make things achievable by taking small steps and setting small goals. It will give you a great confidence boost once you feel you have achieved something. See your friends – you may not feel like letting your hair down right now, but force yourself to go out and have a laugh with your mates. It really is the best medicine. You’ll probably be starting to accept your new status and your friends and family will be acknowledging the new you too. You won’t be wanting to talk about your split all the time now. Plan ahead – write down a list of the things you’re going to do once you get through this difficult patch. Stick it on the fridge and when you feel low it will give you a lift. Fancy dating? There’s no right time to start dating, and after a divorce it can be a daunting prospect. But if you do feel like you’d like to meet someone, take it gently and start by meeting up with a group of people – men and women – first. Dating agencies can be a great way to meet someone safely.